Yaya DaCosta cast as Whitney Houston in TV movie | theGrio. This entry was posted in Entertainment, Link, News and tagged Bobby Brown, Whitney Houston, Yaya DaCosta. How Should We Remember Whitney Houston? 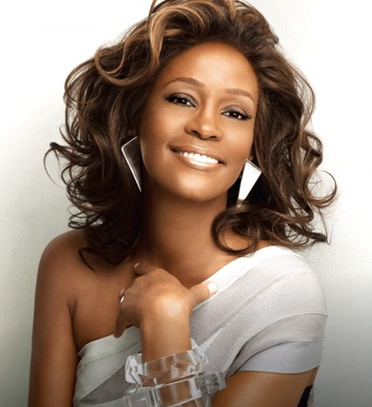 Yesterday the Associated Press reported the tragic death of R&B/Pop star Whitney Houston. Houston was only 48 years old and the cause of her seemingly untimely death has yet to be determined. While her body of work and overall talent has never been questioned, Houston ran into some personal problems that included a tumultuous marriage to R&B singer Bobby Brown and a struggle with addiction that was well documented in the early 2000s. One of the early signs of Houston’s decline was in 2000 when her mentor Clive Davis was being inducted into the Rock & Roll Hall of Fame. Houston was scheduled to perform but failed to show up. Another low point for Houston came when she was fired from a scheduled Academy Awards performance in 2000. Then came the ABC Diane Sawyer when she admitted to some substance abuse but proclaimed that “crack is wack”. Many Houston fans blamed her substance abuse and decline on her over the top husband and believed that the church girl from Newark had been corrupted. While the emphasis this weekend has been placed on Houston’s accomplishments and the inspiration she is some of the most successful singers out right now, it is impossible to ignore the personal turmoil she experienced. The blind eye we are turning to her tough times this weekend is probably the blind eye we turned to her troubles as they were developing. All too often industry heads are more concerned with the product and not the person. Which is why it is important that we focus on the whole person this weekend. Even though Houston was an international superstar she was also a human with flaws like all of us. So while we play her music and honor her at the Grammy’s tonight let’s remember that she was no different than any of us and we ever go through any of same trials that there someone around to make we do not fall too far. This entry was posted in Editorial, Entertainment and tagged Associated Press, Bobby Brown, Clive Davis, Diane Sawyer, Grammy Award, Houston, Rock & Roll Hall of Fame, Whitney Houston.